The word infoshum has its roots in the internationally known term “white noise,” i.e. random and meaningless noise. In Oleg Kashin’s analysis, infoshum is a massive flow of news stories, in which statements with little or no real importance, often made by politicians and officials, become disproportionally popular in the Russian media that observe loyalty to the Kremlin line. But while similar phenomena could be said to exist also in other places in the world, Kashin claims that certain Russian media are “licensed” by the Kremlin to produce the infoshum – and that the other Kremlin-loyal media are obliged to repeat it, whereby the infoshum spreads and gets to dominate over other news. The title of Kashin’s article refers to one such example of a random news story, where Gennady Onishchenko, a member of the State Duma, suggested that it was time to inform young Russians about the alleged dangers of masturbation. According to Kashin, the typical headline of an infoshum story includes the name of a politician or an official and a reference to something they have said. In other words, there is no real event or even, say, a real proposal for a new law; just a statement: “[Senator Alexei] Pushkov ridiculed [someone]”; “[Foreign Minstry Spokesperson] Maria Zakharova told [someone] off”, etc. “Zakharova Ridiculed CNN for Story about Russian Influence in the US with the Help of Pokémons,” says this headline from the Interfax news agency. A Google search for the exact word combination “Zakharova ridiculed” in Russian gave more than 30,000 results. Kashin mentions as an example of infoshum a recent case when stories about how commentators had “ridiculed the tie worn by [Ukrainian President] Petro Poroshenko” on a photo taken after a meeting with U.S. President Trump, were relayed as important news by a number of media. The columnist also underlines that stories like these are easy to work with and hardly ever need any fact-checking: there is no real event requiring an investigation, only a statement; and the sources are only happy to be quoted in the news cycle. Some cases covered in articles on the EUvsDisinfo website could also be classified as infoshum. The term will, for example, be relevant when RIA Novosti reports that yet another group of foreigners, e.g. from Norway or the US, has visited Crimea and said something positive, and these statements, which have no political or diplomatic importance, are blown up to become news. 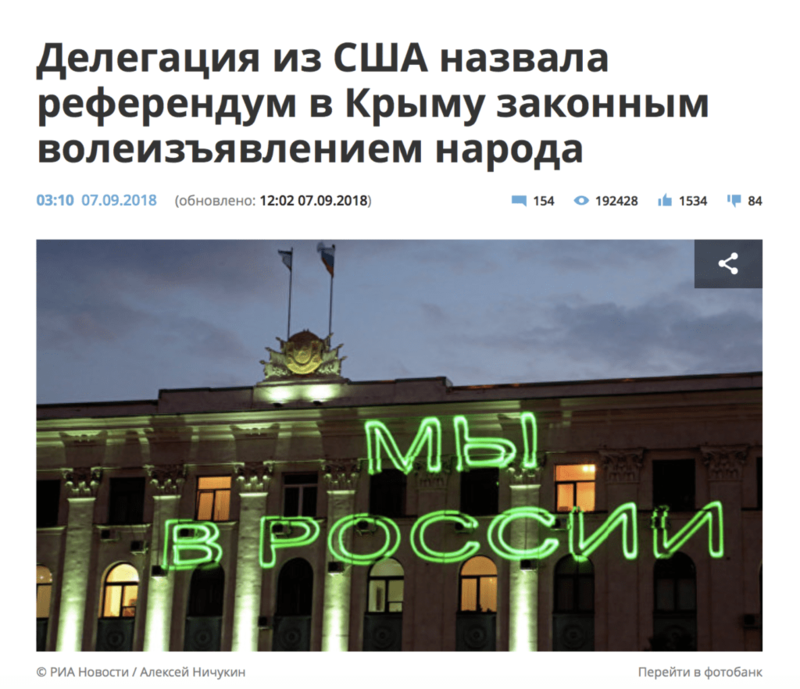 “Delegation from the US Calls Crimea Referendum Expression of the Will of the People,” says this headline from Kremlin-controlled RIA Novosti. 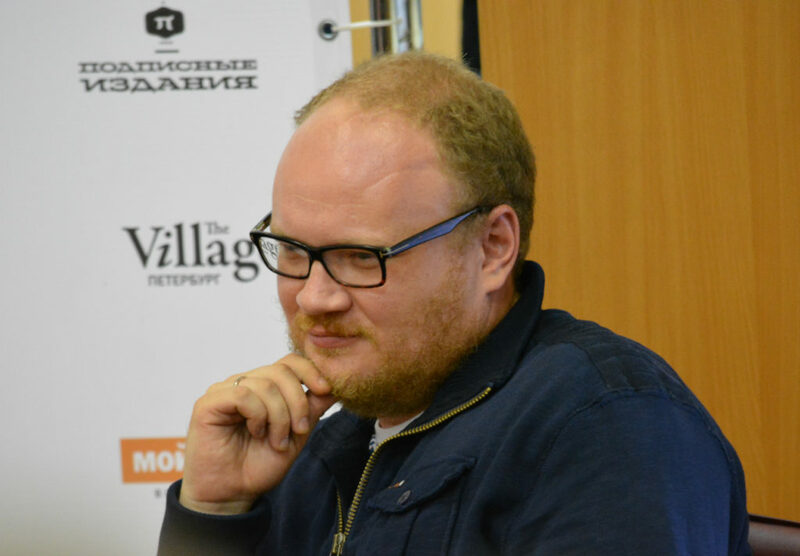 Journalist Oleg Kashin survived a severe violent attack in 2010, which was considered a punishment for his critical journalism challenging the interests of strong, Kremlin-close forces in Russia. He now writes columns in a number of Russian media, including the independent online magazine Republic. Image: Wikipedia. Infoshum [info-SHOOM] can now join other Russian terms that have survived in their Russian original outside Russia, such as kompromat, maskirovka, agitprop – and, of course, dezinformatsiya. The EU’s East StratCom Task Force was set up by EU High Representative Federica Mogherini in 2015, in response to a request from all 28 EU Heads of Government to “address Russia’s ongoing disinformation campaigns”. It is a team of eleven communications and Russian language experts, who also seek to improve communication on EU policies towards the Eastern Neighbourhood and to strengthen media plurality in the region, especially in the Russian language. The Task Force’s flagship products are its weekly Disinformation Review of pro-Kremlin disinformation stories and its social media accounts @EUvsDisinfo and EU vs Disinformation.